Lady Sariah passed away early March 30th, 2009 from a long battle with cancer. She leaves behind her husband Owain ap Gwyllim Pengryth and her daughter Cassandra of Yggdrasil House. öl er drukkit er ale, when it is drunk. I sing praise of my wife, a woman of unsurpassed beauty, indeed the earth’s bones in face of adversity. Of unending kindness she, of remarkable intellect, renowned wisdom, and skill within one hand surpassing two of other women. Her strength in facing the undeniable with honor and kindness will inspire me to the end of my days. When the wisest diviners and brewers of potions said that she would pass from midgard within a fortnight, she did survive two, when they claimed hours, she lasted 5 more days. She succumbed to complications of cancer on March 30th 2009 of the common reckoning, at age 29. These are my words, I challenge any person who would deny them, any who would test my right to speak them, or who would wish to strive on the field of honor to celebrate her life . Meet me upon the Hazeled field set for this purpose at the anniversary of the Barony of the Angels (Los Angeles) in the Kingdom of Caid, Where I will endeavor to meet the blades of no less than one hundred warriors upon the twelfth day of September, 2009 of the common reckoning. Be girded and prepared for combat under the banner of the raider ship Jormundgandr und Yggdrasil, (a field purpure, a dragon, en annulo, arrayed about a tree argent). A token of the day will be granted to all warriors who aid this endeavor to do honor to one of such strength, taken so young. Second to Sir Augustine von Freiburg, Captain General of the armies of Caid. Unto The Honorable Lord Owain Ap Gwyllim Pengryth do I send Greetings. Heralds did deliver your challenge this day to my own wife, who did in turn pass it to me while I was attending to matters of business, and poring over scrolls of academia. It is with a tear in my eye that I compose this letter in response to your most worthy challenge. It is most evident how your Lady does inspire you to deeds of great honor. It is also most evident that her inspiration was admirable and her fortitude against adversity most worthy of praise. I must however, state not recalling meeting your Lady I know not of your Lady's beauty and must contest you on this point as my own Lady wife is in my heart beautiful without compare under heaven. As such I do accept your challenge and will meet you on the field this day, and will strive with you without break to until one of us does choose to yield the field, our seconds stop the combat determining honor having been satisfied, or the world end. It is my habit to wear my Lady's colors upon my helm when upon the field of battle and honor so all may know of she whom I strive to do honor to. Should you best me upon the field I will sing/speak in prose, praises of your lady in verse at every event I do attend, and forgoe wearing my wife's colors for those of your Lady wife for one year and a day upon my helm. In this way all will know honor was satisfied upon the field this day. I must however, beg boon to one condition. It is only recently that I have left the sick bed and my shield arm still lacks the strength to hold a shield, nor to bear arms knightly held in both hands. As such, I beg leave to meet you with single sword upon the field of honor. If these terms are unacceptable being unable to meet you on the field I will honorably withdraw from the field of honor and consider myself bested and for a year and a day so shall I do as I have promised above. I await your reply and am preparing arms suitable for such an undertaking. An absolute wonderful day was had by all in our household. It was a glorious day. I was fortunate to have been able to help Lord Owain with his challenge, He allowed me to assist him by keeping his Challenge book. I would like to report that he received 39 challenges yesterday - a few of which were arranged to be finished at the Pink Ribbon Tourney, including Master Jamal's cooking challenge of "Three Stuffed Jumbo Shell". You should have heard the mouth watering cooking ideas flying around the Challenge Pavilion. I must also report on the hard fought challenge from THL Cormac Mor of Heraldic Charades. The first few rounds ( and I do mean FEW) began gently but quickly heated up with some extremely difficult passes - One of which involved Lord Owain quite literally standing on his hand with his legs up high in the air. However THL Cormac finally ended the long and difficult battle by conceding to Lord Owain. Again, I must say thank you to Lord Owain for allowing me the honor of assisting him in his quest. Thank you again Lady Vivienne and indeed all who stood by me this day, you did me and mine great service. After looking again at the book of Challenges, and including the Rapier fights at the end it appears that I had received 45 challenges, partook of 27 fighting challenges, to a minimum of 60 telling blows (Some of the "to satisfaction" bouts I believed at some number above the 5 I counted them as), 6 non-fighting challenges, and 12 to be compleated at the following events, GWW, Pink Ribbon, and 12th night. Though I feel reasonably accomplished on the day, the "Dragon" is not bested, and I will complete this challenge before the close of the last challenge, vinegars, at 12th night. I also now intend to expand the challenge, to meet 100 unique fights to the satisfaction and indeed the styles of the challenged, and will continue to accept non-fighting challenges for the duration. My friends, any who would assist me in seeing the quest completed are welcomed and indeed thanked. Their Excellencies John and Flavia and I are deeply saddened to report that Lady Sariah of Yggdrasil House departed our world early this morning after a long and valiant battle with cancer. She was one of the bright lights of the Barony known for her beautiful needlework, quick wit and sense of humor, and herbal knowledge. 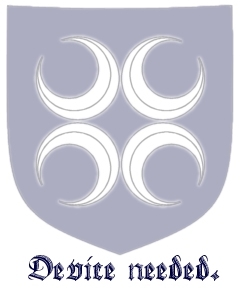 We know that everyone will rally together to assist her husband Lord Owain ap Gwyllim Pengryth and her daughter Cassandra of Yggdrasil House at this time. Lord Owain has asked that we withhold our condolences for a day or two until the family can collect themselves and take care of what must be done to send Lady Sariah on her journey. 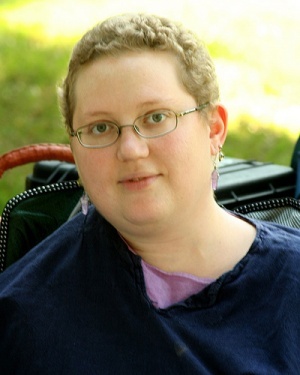 Lady Sariah was one of the brightest, creative and sweetest ladies Jason and I ever had the privilege to know, and one of the most brave ferocious fighters this Kingdom has ever seen, though her battle was not upon the SCA tourney field, but that of life, and for life. Her loss is deeply felt. Our condolences to her family and other friends, for whom we will be here when they feel it is time to reach out. It is a tragedy when we lose any of our number, but in particular when that person is so young with so much life yet to experience. Hopefully, our thoughts and prayers will reach across the miles to Lord Owain and Cassandra and add to the comfort we know they will receive from friends and family in Angels and in the SCA. Lady Sariah was indeed a fighter and we know that her spirit will continue to shine. My condolences to Owain and Cassie, and to their household. Saria was such a wonderful person and a friend to all; her absence will be felt throughout the kingdom, for some time to come. While sad for such a great loss, I am glad that she's finally at peace, and undoubtedly in a better place. We knew it was coming, yet it's painful nonetheless. Such a light has left the world that we are all diminished, but take some small joy in having known her. She travels now in bright company, on a journey we can only imagine. May her journey thrive. Allan and I would also like to express our condolences. We never got to know Lady Sariah as well as we would have liked, but my recollection of her was that she was always a lady in every way, and Allan and I both send our greatest sympathy to Owain and Cassie (and the rest of Sariah's family as well). This page was last modified on 24 November 2009, at 22:55.